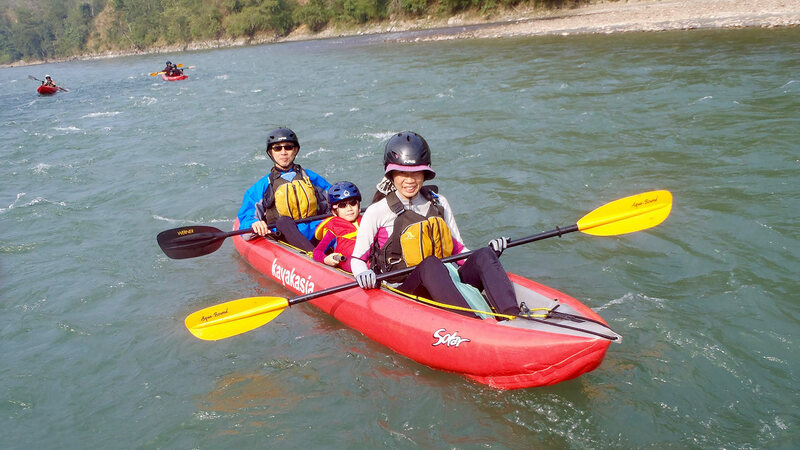 Riding the waves on Sun Koshi, come join in the adventure! 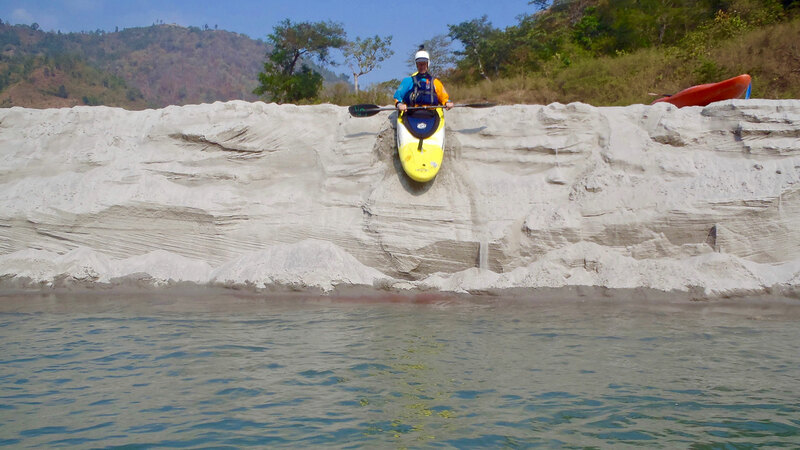 Sun Koshi in Nepali means “River of gold”. This name might have stuck with this river because small quantities of gold is panned from its sand. 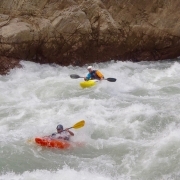 The rapids in this river, except for few cases, gradually become more complex. 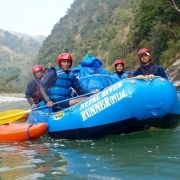 Hence, it is suitable for the first time rafters and for those who want to brush up their rafting/kayaking skills. 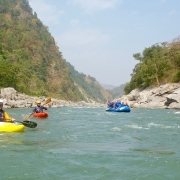 The river itself starts from Tibetan border, passes through high mountains and valleys down, to the plains of Nepal and into the mighty Ganges in India. 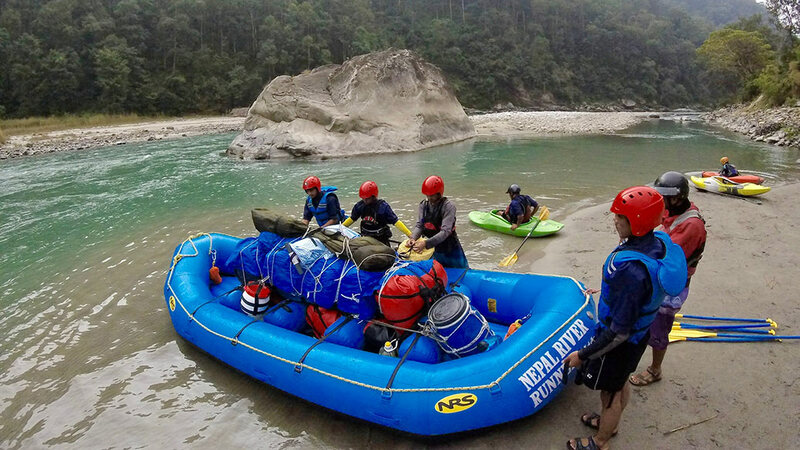 This is a perfect match for rafters who want to raft to their heart’s content, as this river is a whopping 270 kilometers long. 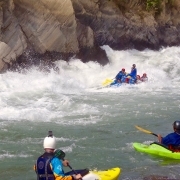 To add to the excitement, rapids may appear and disappear according to seasons. 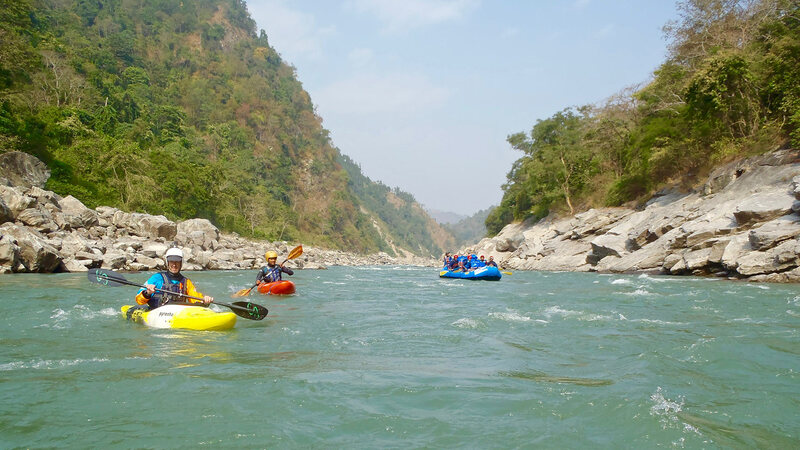 Some of the most interesting, challenging and popular rapids that you will be passing are Harkapur I and II (Class V-), Meat Grinder (Class IV-), Punch (Class IV-), Judy (Class III), Pre-anxiety (Class III) and High-anxiety (Class IV-). During the entire length of your trip, you will be surrounded by outstanding sceneries, remote villages and white sandy beaches. 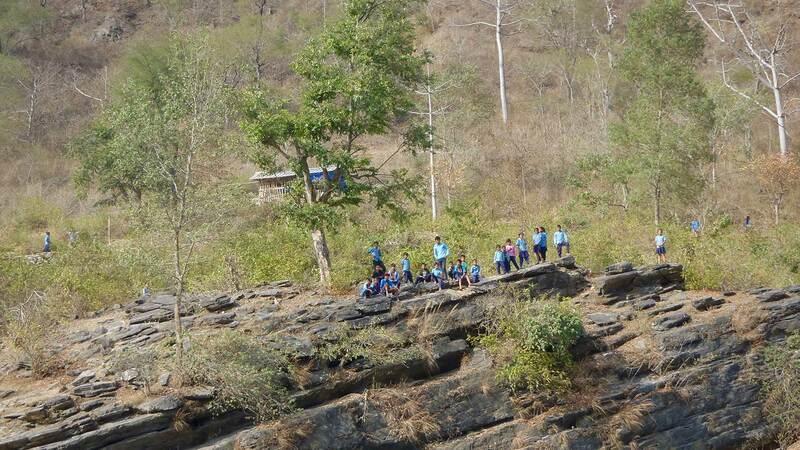 We have operated in this river for more than ten years. 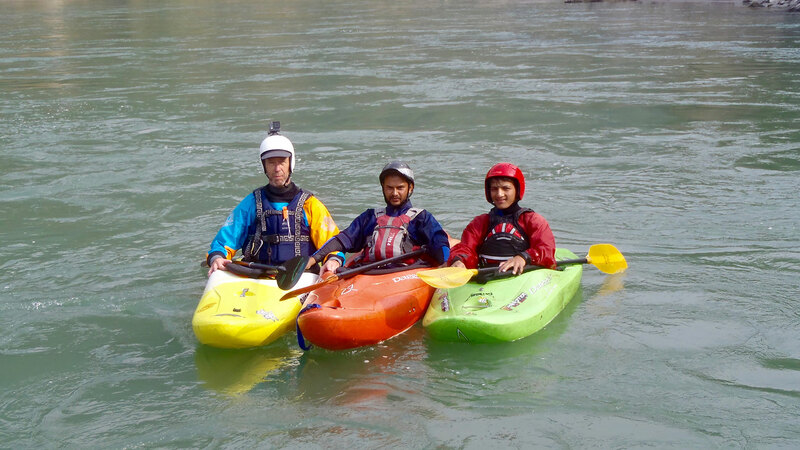 During this time, we have helped thousands of people raft/kayak in the waters of Sun Koshi. 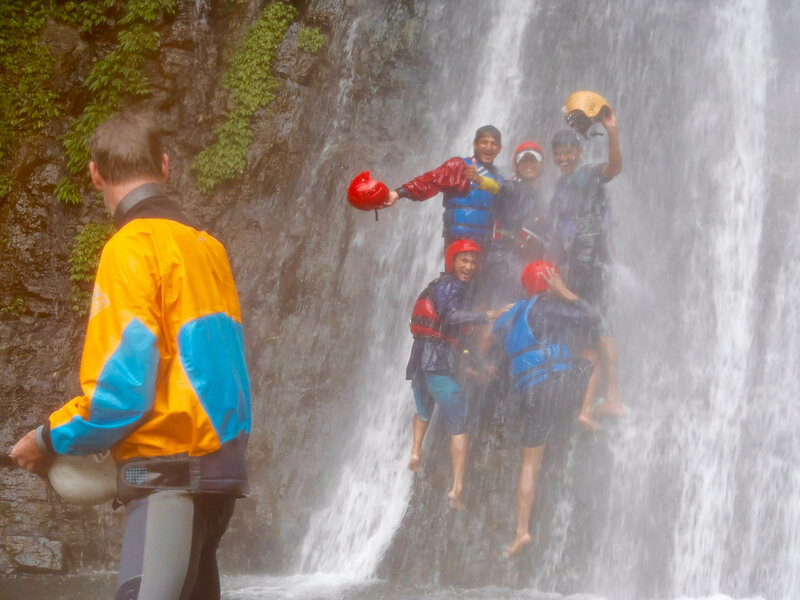 Thanks, to our experience – our friendly but professional guides, will be there to suggest and advise you on how to make the most out of this trip. After breakfast, early in the morning, we will leave for our put in point Dolalghat. 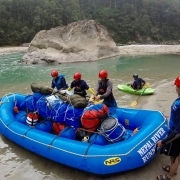 Before the rafting starts, our guides will give you instructions on how to use equipment and tips on how to remain safe. 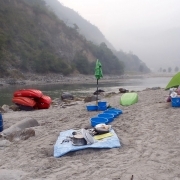 In Dolalghat, lower Bhotekoshi meets Indrawati and forms the Sun Koshi River. 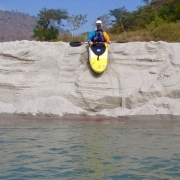 We will start to raft on Sun Koshi (“the river of gold” in Nepali). 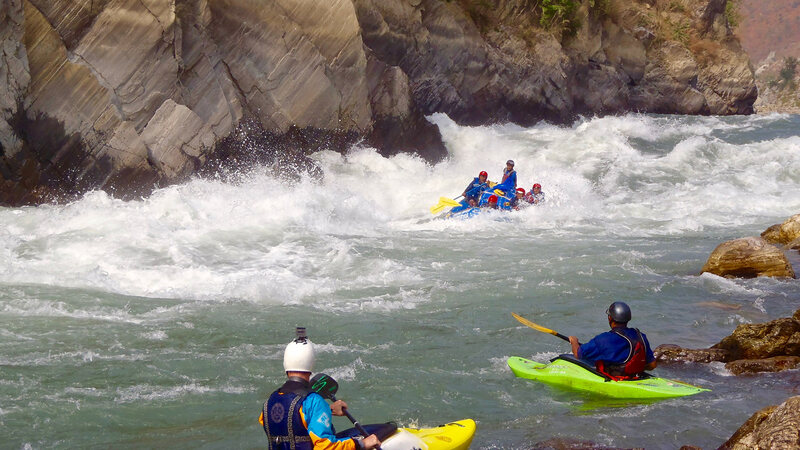 The start will be smooth with few rapids, which will give us some practice and warm up for the rapids that are yet to come. 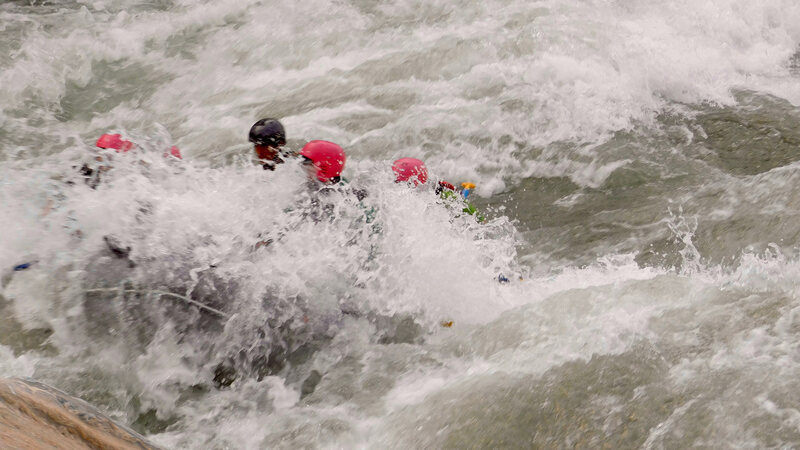 Towards the end of the day, you will experience the first of many Class III rapids. 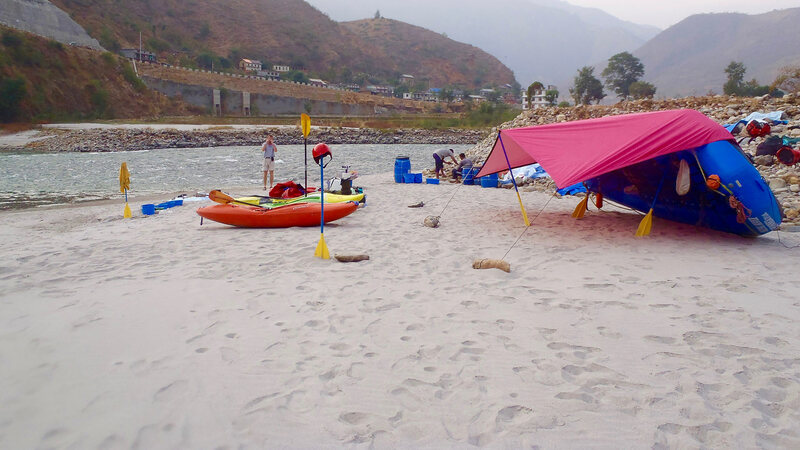 We will set up our camp at Pachuwarghat for the night’s rest. 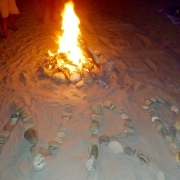 When the night falls we will be setting up campfire. 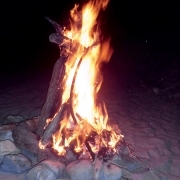 While basking on the warmth of the campfire, we will have little chit chats. 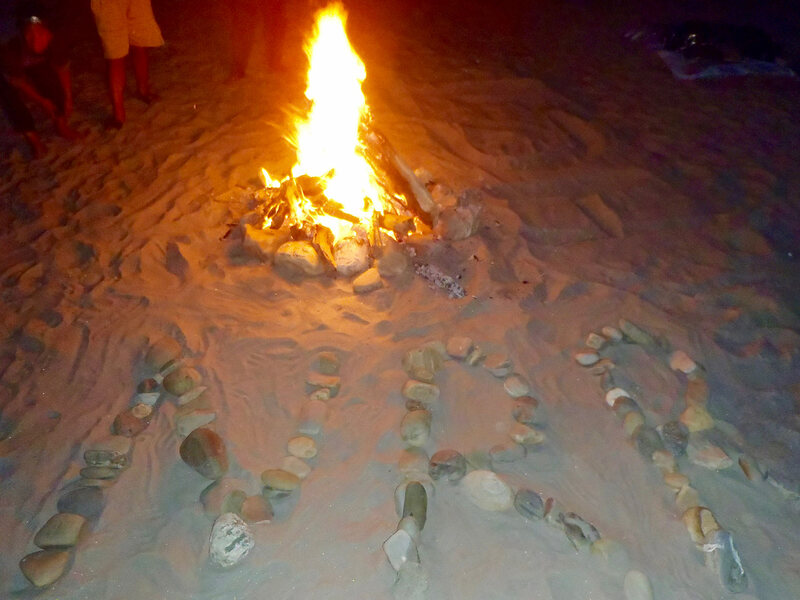 We will share our own stories and if you are happy with sharing your own stories, you can do so too. 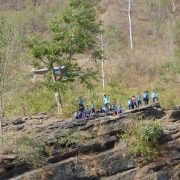 After breakfast, early in the morning, we will start from Pachuwarghat to reach Chainpur. 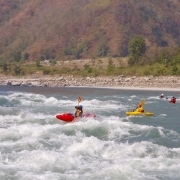 We will be facing couple of exciting Class II and Class III Sun Koshi rapids. 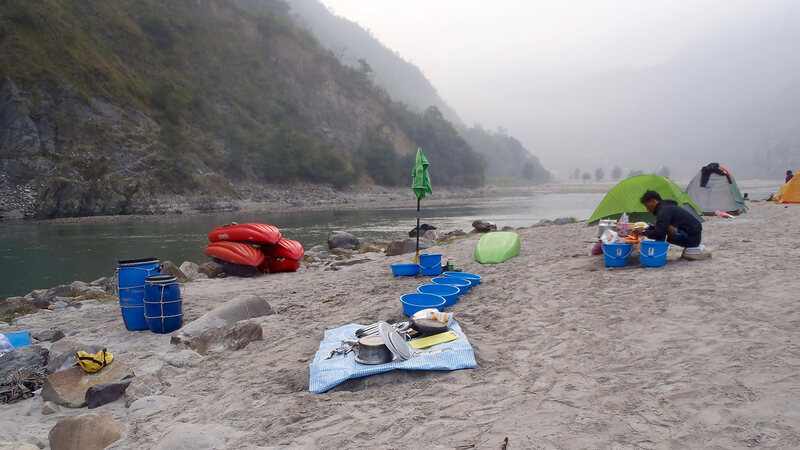 However, as we raft, you must take your time and observe the beautiful Nepalese countryside. 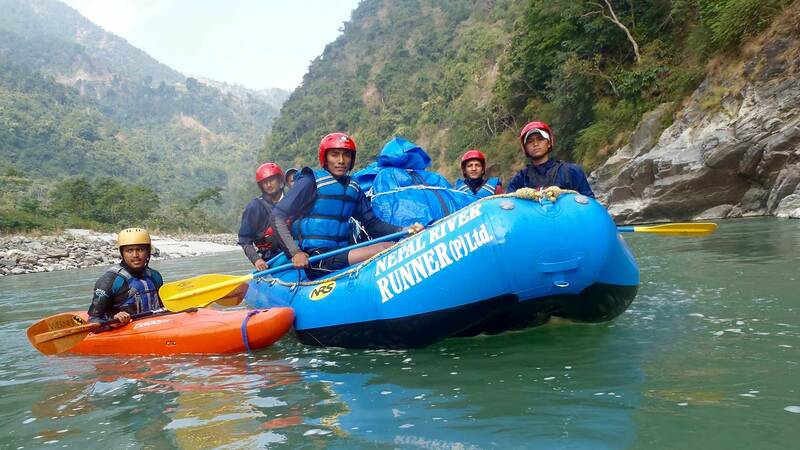 When we reach the Hindu holy temple Kusheswor, the BP highway starts to run parallel to our rafting route. 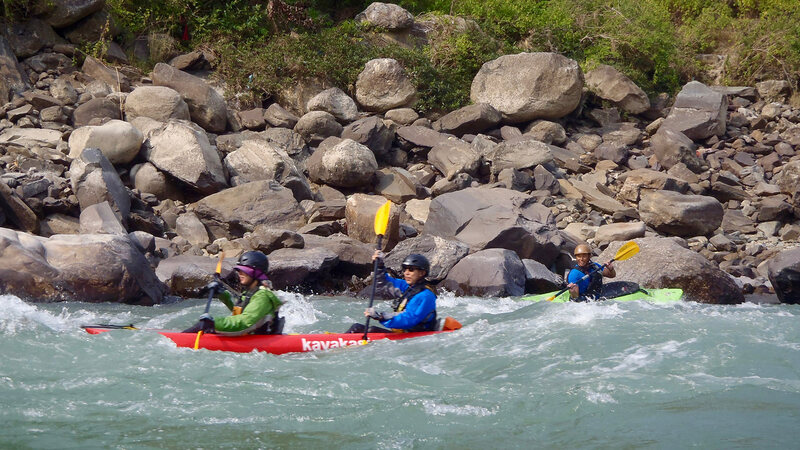 As we continue rafting down the river, you will see Majhee Gaun (which means fisher’s village in Nepali). True to its name, the inhabitants of this village make a living by catching fish. 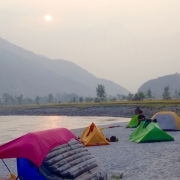 By the time we reach Chainpur, it will be evening so we will set our camp at Chainpur by the side of Sun Koshi River. 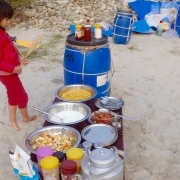 As you rest and loosen yourself, our team will be prepare tasty food. After our meal, before sleeping, we will have some time for ourselves. 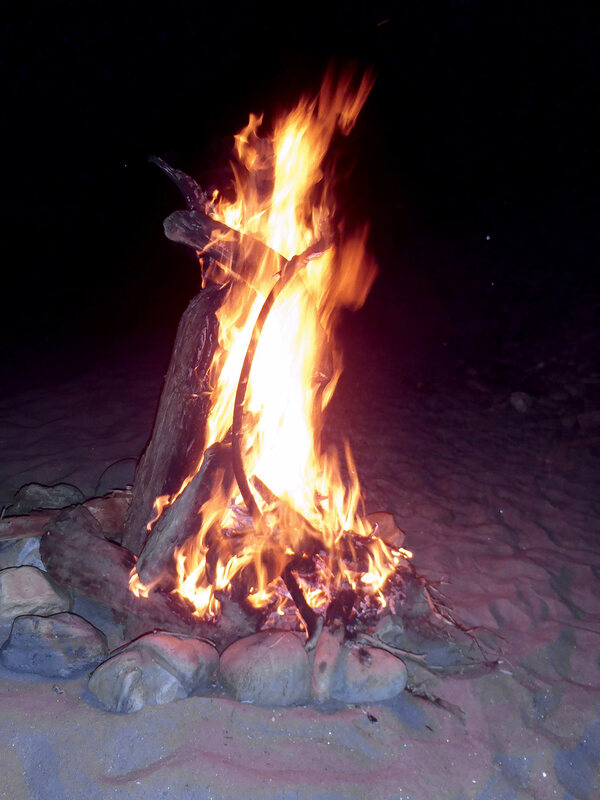 We are open to all feasible ideas – that entertain or inform us. This will be another exciting day for us. 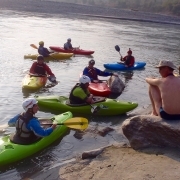 After breakfast, we start to paddle down Sun Koshi. Within a short period of time, we will see Tama Koshi joining Sun Koshi, increasing the volume of Sun Koshi. 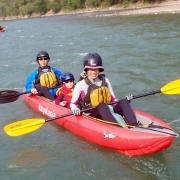 At first, the waters are quite calm and paddling is easy but slowly the water currents of Sun Koshi increase, and we have to pay our attention to paddling. 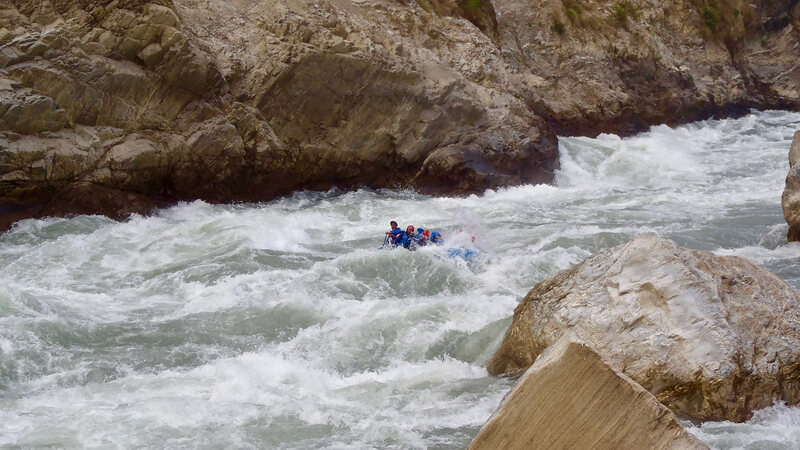 The highlights for this day are the exciting and challenging rapids, that include Meat Grinder (Class IV-), Punch (Class IV-), Judy (Class III), Pre-anxiety (Class III) and High-anxiety (Class IV-). 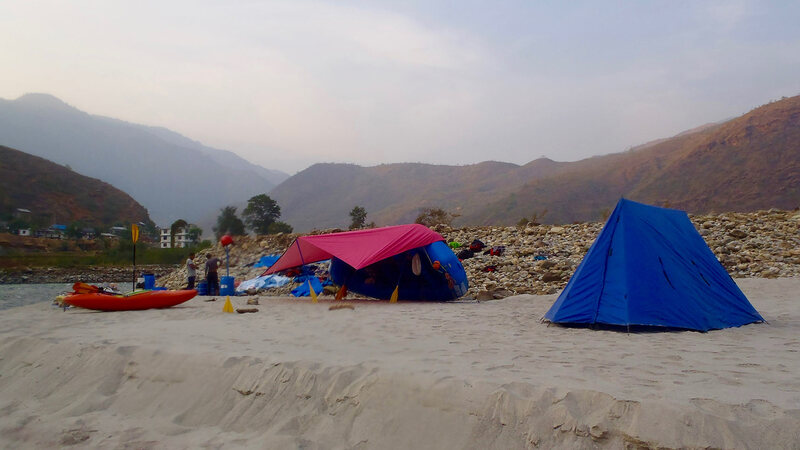 As the evening approaches, we will stop rafting and set a camp at Jhagare. 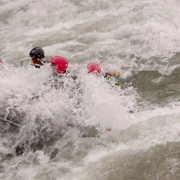 Day eight will test our team spirit as we will come across the famous Harkapur I and II (Class V-) rapids. 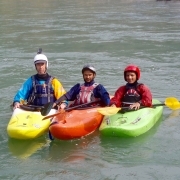 After some paddling, we will see Dudh Koshi, join Sun Koshi. 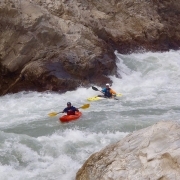 Depending on the season and water levels, the rapids may or may not be runnable. We'll make a careful group decision, as we always put safety first. 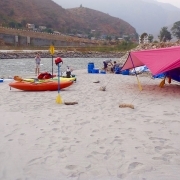 Our camp site for the day will be at the beautiful Raighat beach for a much-needed rest and refreshment. 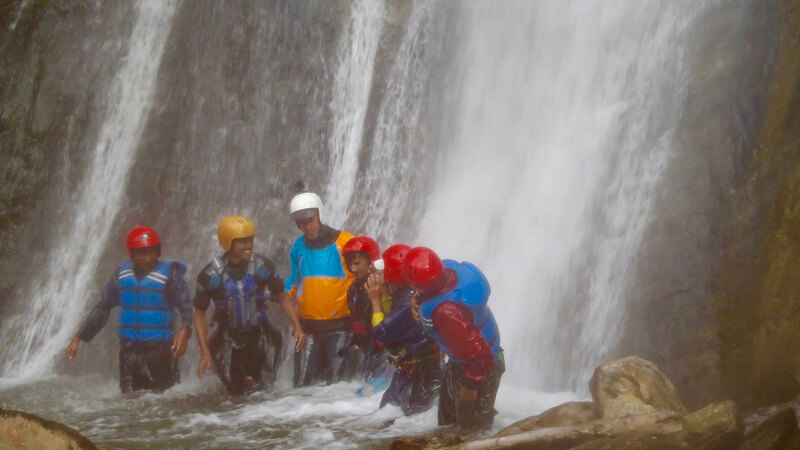 After breakfast, we will start rafting again and we will meet some exciting rapids such as Jaws Rapid (Class IV-) followed by the notorious “Dead Man Eddy”. 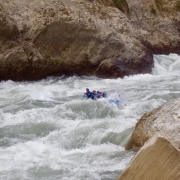 The main highlight of this day’s rafting is the rapid “Rhino Rock” (Class IV). 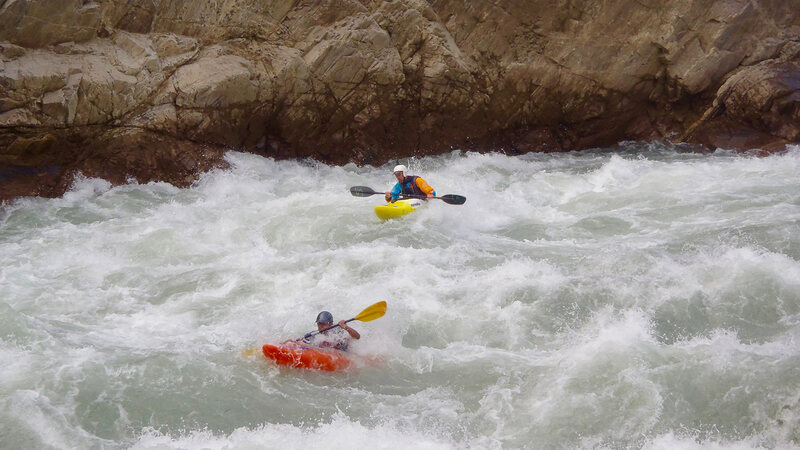 True to its name, this rapid looks like the horn of a rhinoceros. 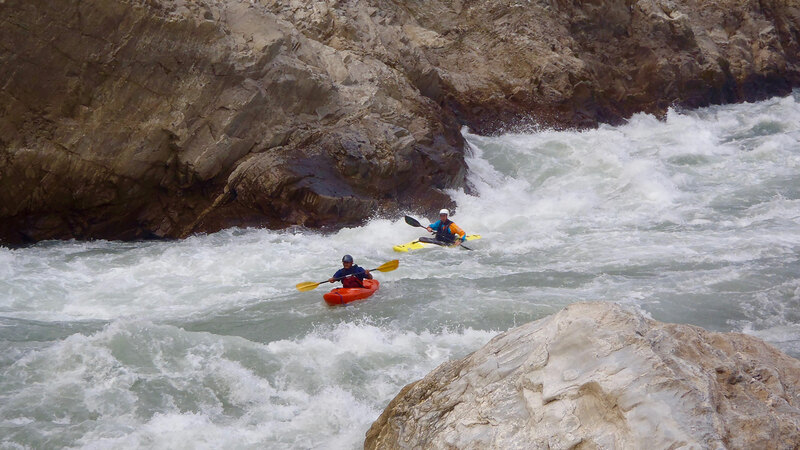 The way we pass this rapid depends on level of water and decision by the guide. 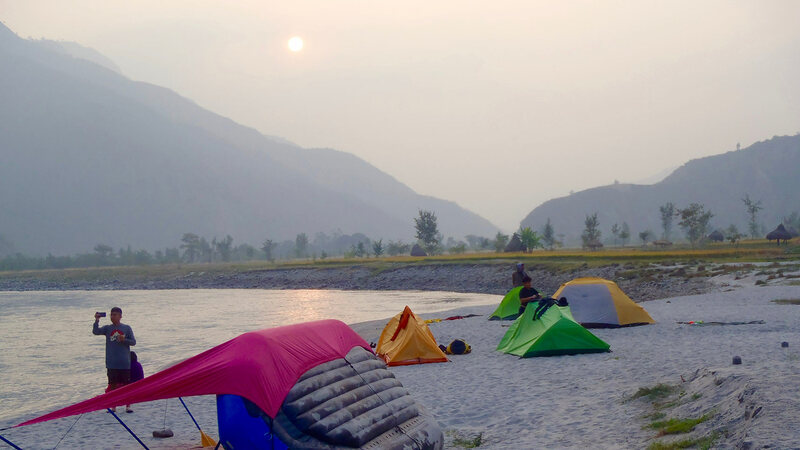 We will set up our camp for the night at Rasuwaghat by the Sun Koshi riverside. As we continue rafting down the river, we will enter tropical vegetation. 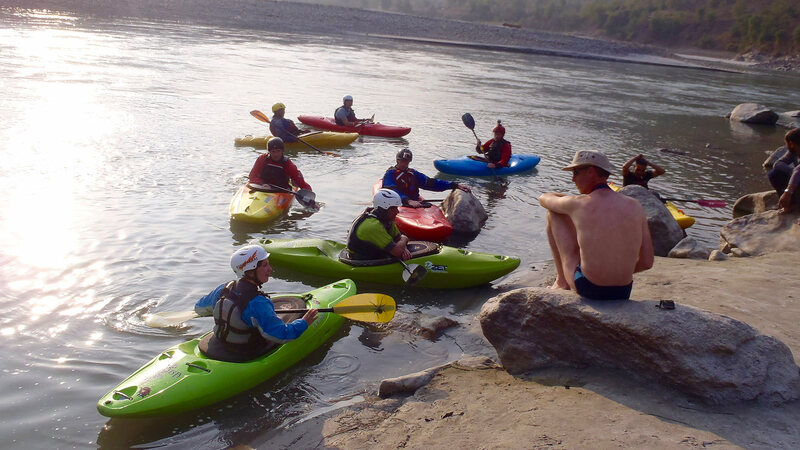 Sun Koshi becomes narrower, and we will be passing through a region referred as “Jungle Corridor” which is full of continuous rapids. 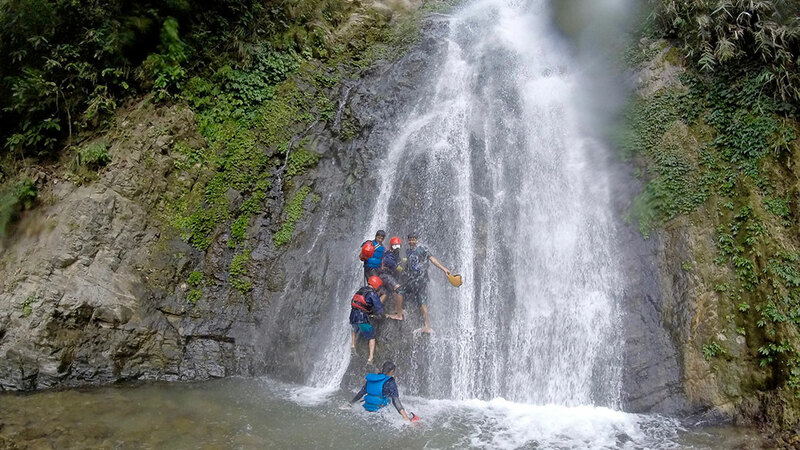 As we move ahead, we come across a series of waterfalls – un-spoilt and serene. 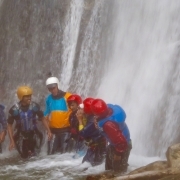 This day’s camp will be near to Waterfall by the side of Sun Koshi. 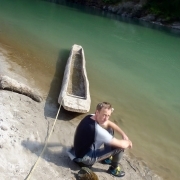 The waters of Sun Koshi are calmer now. We can relax as we pass through smaller waves. 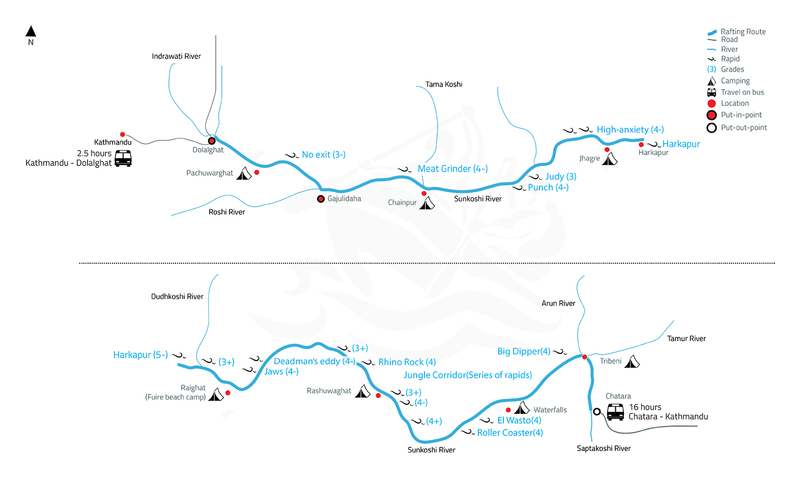 However, on the way, we will come across two exciting rapids – Big Dipper (Class IV) followed by Black hole (Class III). 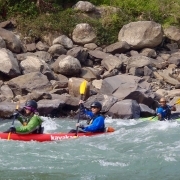 Soon, Arun and Tamor mix with Sun Koshi at Tribeni (which means confluence of three rivers in Nepali). 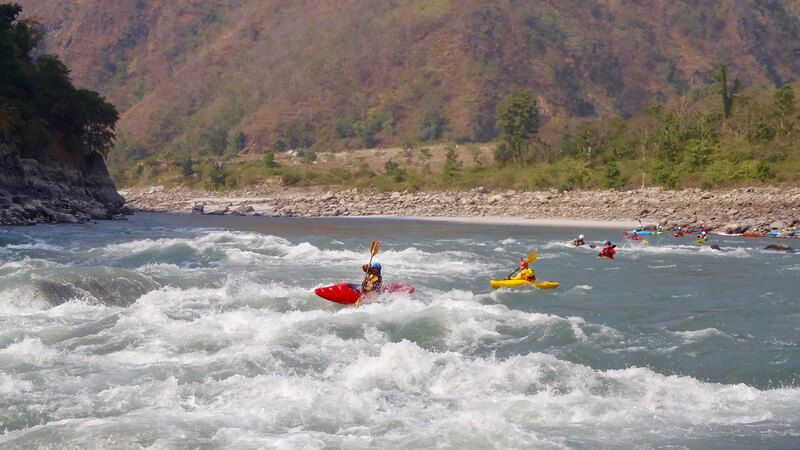 A total of seven rivers have now joined Sun Koshi and it is now called Sapta (which in Nepali means seven) Koshi. 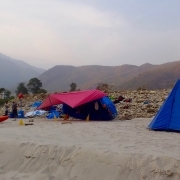 Our camp at that day will be at Tribeni. 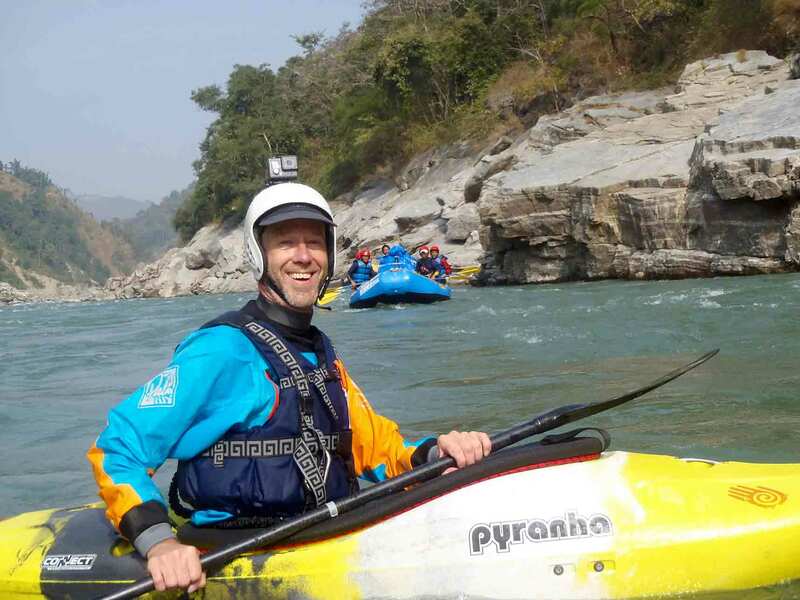 After breakfast, we will raft for some time until we reach the famous Baraha temple. 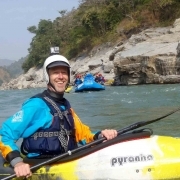 We will spend some time sightseeing, then we will paddle to Chatara – our final put out point. We will have our lunch at a local restaurant. 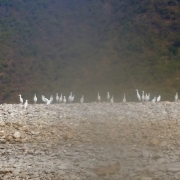 From Chatara, we will take a private bus and drive for about 14 to 15 hours to reach Kathmandu. We will stop our bus on the way for dinner at a Nepali restaurant. 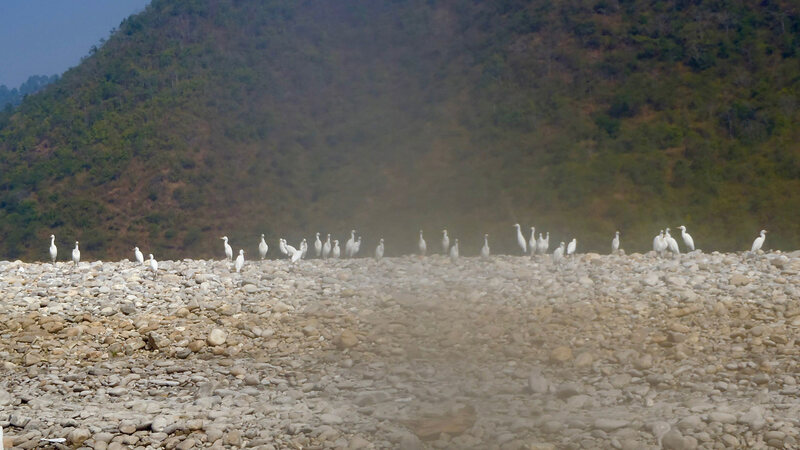 You can choose to stop at Chitwan National Park to enjoy the wildlife. 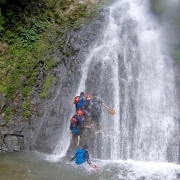 There is one more option, you may go to Biratnagar from Chatara and then fly to Kathmandu. 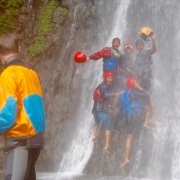 If you want to do so, please mention it during the time of your trip booking. 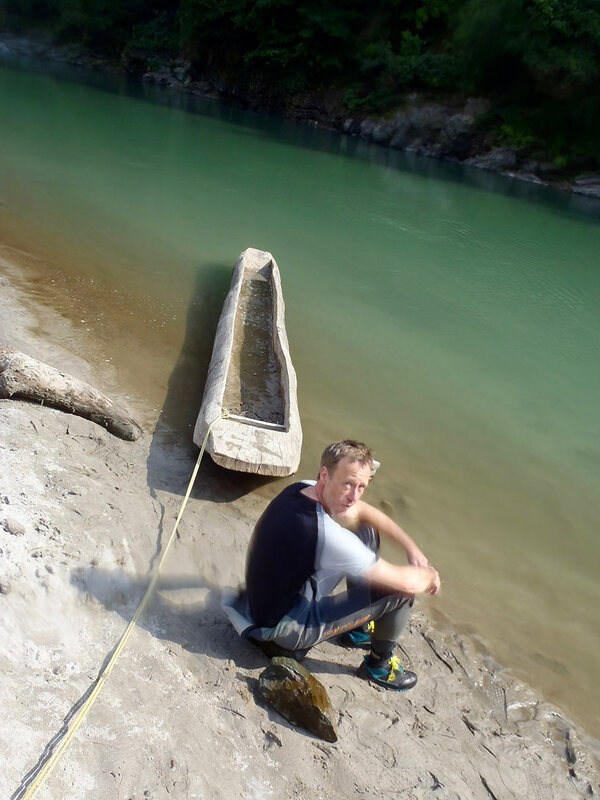 Throughout our expedition, we provide treated stream water for drinking. 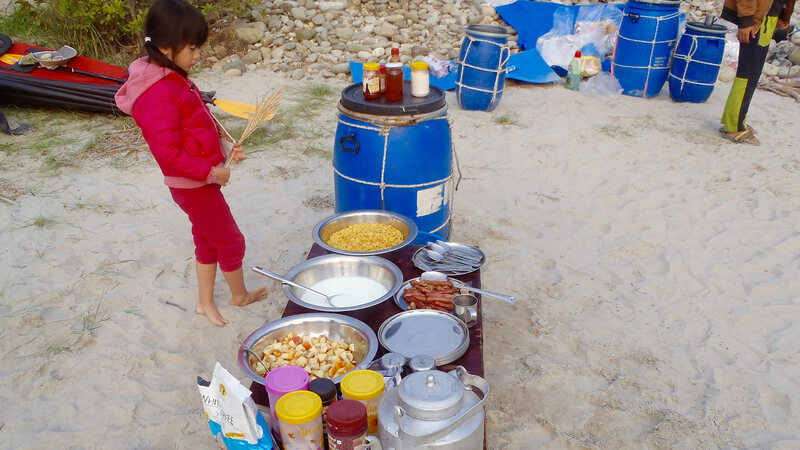 We employ crews with great culinary ability and provide breakfast, lunch and dinner during the expedition in a buffet style. So, yes you have the freedom to choose what you like. If you have special dietary needs, please let us know about it at the time of booking, so that we can arrange accordingly. Personal items like toiletries, clothing, camera, etc. You can also choose any date that you want from our booking page.